We hear a lot about integrity today, but it is dwindling in every arena – the government, the sports world, in business, and even in the church. I believe that this is a symptom and harping about it will never solve it. Integrity is learned in the home. Years ago I read this statement, “American is weak because we have weak churches; we have weak churches because we have weak families; and we have weak families because we have weak fathers”. What a simple, but convicting syllogism. That is true in my life. I am the recipient of so many blessings, not of my own, but because of who my father was and how he lived. Dad modeled integrity for me in his actions by keeping his word. Likewise, if we made a promise we were expected to keep it. In the area of discipline if he gave us a warning with a consequence of being spanked if we didn’t follow his instruction, you could count on the spanking. We didn’t get a lot of spankings, but those I did receive I remember them. It wasn’t the severity of them, but the fact that Dad was faithful to his promise – and that was good for me. It gave me a healthy fear and respect for authority and, ultimately, for God. One of my favorite pictures of my Dad – doing what he did best and loved much. It wasn’t the driving that he cared about, but the people he drove. This is how most people remember Dad. A humorous incident from Dad’s life concerning fulfilling your promise was centered around football. We weren’t allowed to quit once we made the commitment to the team. I never quit any team I was on, not because I didn’t want to at times, but because it wasn’t an option with my father! When I was in college my second cousin, Howard, moved in to live with Mom, Dad, and Hoss. (Melanie was already in college, too). Hoss had been drilled in the expectations of my Dad that quitting was never an option. Howard was a great athlete, especially in wrestling, and also excelled in football, but didn’t realize how firm the “no quitting” rule was. Howard grew tired of the rigors of football and decided to quit the team and told his coaches that he was finished. He came home and told Hoss about it and that he was going to inform Dad at the dinner table that night. Hoss knew that this wasn’t going to go over and was kind of excited about the fireworks that were going to hit the air at dinner that night! Dinner time came, and after all had eaten, everyone knew that Howard had quit the football team (he had also told Mom), but Dad didn’t know. Or so Howard thought. 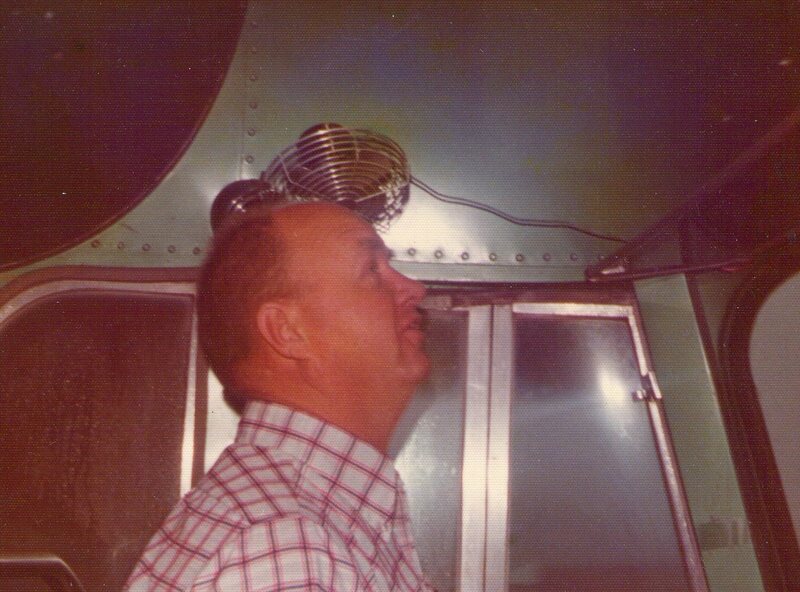 Dad was very close to all of the coaches on the team as he drove the bus to all of the home and away games. Unknown to Howard, the head coach had already called Dad and informed him that Howard had quit. But no one at the table was aware of that fact. Howard meekly said, “Yes sir, that’s fine. I really didn’t need to tell you anything at all”. Hoss was rolling on the floor laughing and Dad just took it in stride. It’s still a classic story in our family. Dad refused to let us quit. The result of integrity is a good reputation. We worry too much about our reputation and too little about our integrity. Abraham Lincoln said, “Character is the tree; reputation is the shadow of the tree”. The Bible speaks about the value of having a good name among others – “A good name is rather to be chosen than great riches, and loving favour rather than silver and gold”. (Proverbs 22:1) We do not realize how important a good name is until we are older. Besides leading me to a relationship with Jesus Christ, the greatest thing my parents gave to me was a “good name”. I did nothing to deserve it and it is a great privilege to be the son of a man with a good reputation. Whenever people hear our name they associate it with specific character qualities, some good and some bad. If they are positive qualities it is like interest accruing on a bank account. To this day, I am still banking on the integrity of my father’s name, even though he is in Heaven. Here is a perfect illustration of the power of integrity and a good name. Years ago we were in the process of putting up a nice, lighted sign at the corner of our church property and going through the checklist of items the city code required of us to do so. One of the requirements was that we had to send a letter out to every resident within 600 yards of the church notifying them of our plans. If anyone had a problem with the new sign the letter gave a specific date when it would be brought before the proper authorities in the city council chamber and they could come and state their objection at that time. The date for the meeting arrived and I along with one of our pastors headed there wondering how much opposition we were going to face. We walked in the room and there were about eighty people there and on the stage was a long table with four people seated. These were the “big dogs” that would ultimately determine if we could put up the sign. We were handed an agenda for the meeting and it contained a list of all of the people seeking permissions for variances on their property. We were number twelve on the list. Since I had never been to a meeting like this I didn’t know how long we might be there, but I felt it would be a long wait. Finally, the meeting was called to order and it was a very simple procedure. They called the first group to the platform to stand before the committee of four and heard their desire and after consulting asked if anyone opposed their intention. As the meeting progressed each organization took 15-20 minutes to review the information with the decision-makers and there were some in attendance that opposed some of the requests. By this time, my staff colleague and I were looking around the room wondering who was there to veto our sign! When the third organization was called to the front to present their request we had consigned ourselves to a long wait. Also, we had concerns over our being able to get the sign if there were those that wanted to protest it. Suddenly I felt a tap on my shoulder and I turned around and my father had walked in and was sitting behind me in the chamber. I was surprised as I hadn’t called him and wondered what he was doing there. I whispered, “Dad, what are you doing at this meeting? How did you know about it?” He said, “You told me about it last week and I just decided to come along and see if I could help”. I had forgotten about telling Dad, but he had not. I was glad he was there for his prayer support. At least, I thought that was all he was going to do. As we sat there our anxiety increased watching the people called to the front and being questioned intently. (Though we couldn’t hear the discussion, we could read the body language and it was a thorough hearing). After being there for several hours and the leader finally came to group number twelve and called, “Friendship Baptist Church”. Our of respect for him, I didn’t ask him and knew we needed the prayer anyway, so the three of us stood there in front of the committee of four that held in their hands the reality of our putting the sign on the property. We were prepared to share how important it was to our church and to make a persuasive appeal and hoped we didn’t have many nay-sayers in the audience. paper work – “Why do you want a sign…..does the sign have moving letters on it?” We had already had the proper distance from the road approved with a city engineer and so that was good. I had the good sense to just shut up because I felt I had a good thing going for us! Dad confirmed that I was his son and the man said, “Well, that’s great!”. He took the official stamp and pounded it on the document and signed it. “Cotton, you have a great week! So good to see you”. The man looked at me and said, “Rick, you have a great father; I hope you know that”. As you read this you might chalk this up to politics or just being in the right network. I would disagree. It was a classic case of this local government leader giving my father favor because of his character and integrity in the past. While I do think we would have gotten the permit for the sign approved anyway, the way in which it was expedited taught me a valuable lesson about the power of a good name. Whenever my children leave the home to be with their friends I always say the same thing, “Remember your name”. I have taught them that their name is precious because one day they, and their children, will bank on it. Also, they are carrying the name of Christ, the name of our church, and, of course, our family name wherever they go and whatever they do. I don’t know if it is possible for my children to realize what a precious treasure their grandfather left them in having a good name of integrity. I have tried to uphold that name by my life and actions so that my children might benefit from it one day. Thanks, Dad, for being a man of integrity. I am still doing my best to honor the testimony you left for me. You were a great man of honor and integrity. Whenever I look at our church sign it’s a reminder to me to do what is right and one day I will be blessed in the most unexpected way. This entry was posted in Family Issues and tagged father, home, influence, integrity. Bookmark the permalink.